Silver Plated With Wood Base Seder Plate. This Seder Plate blends classic color and design with its silver plated round and traditional layout of the Seder Plate foods engraved in each recessed bowl. 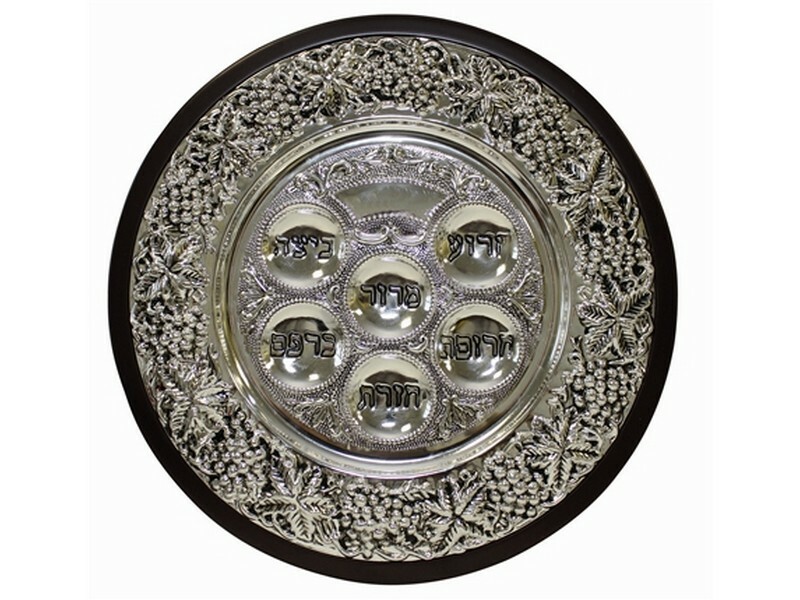 The silver plated Seder Plate is set on a larger round wooden base, making it a spectacular center piece for your Passover Seder table. The six recessed bowls are engraved, in Hebrew, with the names of the traditional foods – “Zeroah” (shankbone), “Beitzah” (hard-boiled egg), “Maror” (bitter herbs), “Haroset” (sweet brown mixture), “Karpat” (dipping vegetable) and “chazeret” (romaine lettuce).